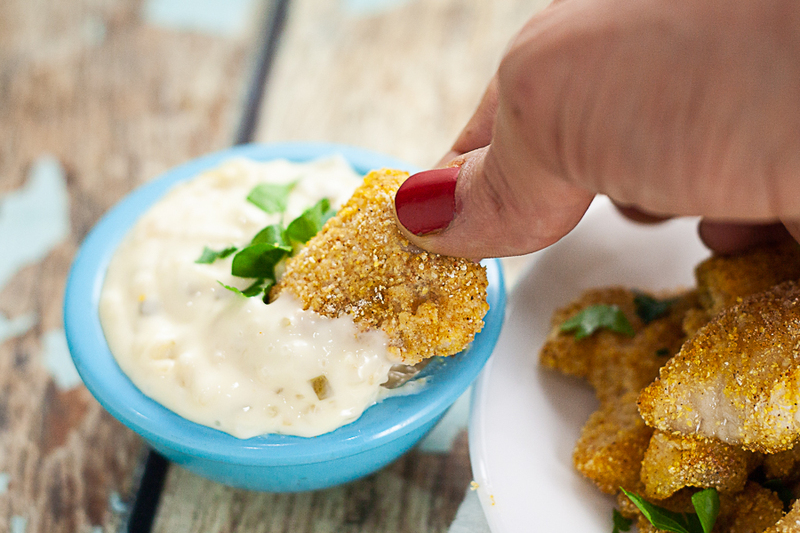 Make these Baked Catfish Nuggets as a healthy and easy baked version of a Southern favorite. 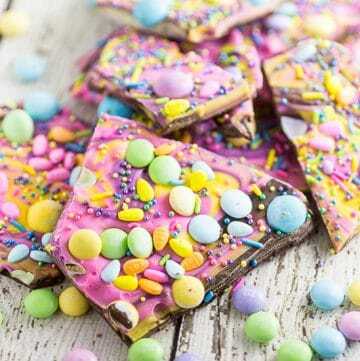 Made with just 5 ingredients in 30 minutes! It’s weird, but true. At least at my house. 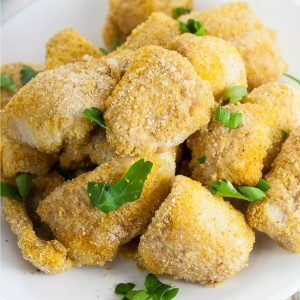 That includes these Baked Catfish Nuggets which are super easy to make, with just 5 ingredients. Plus, they’re healthy and gluten and dairy free. 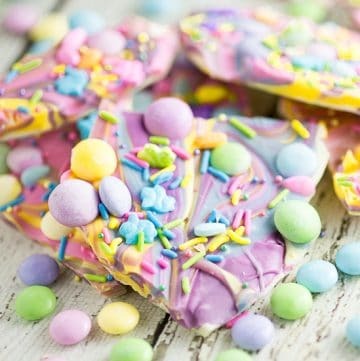 You can make them in just 30 minutes! Perfect for a quick and easy weeknight dinner. If you’re looking for a fried version, we have that here too! Being a sauce-girl, I think it’s first and most important to serve it with the perfect sauce. Mr. Gracious will insist that you serve catfish with ketchup, but I think he might be in the minority. 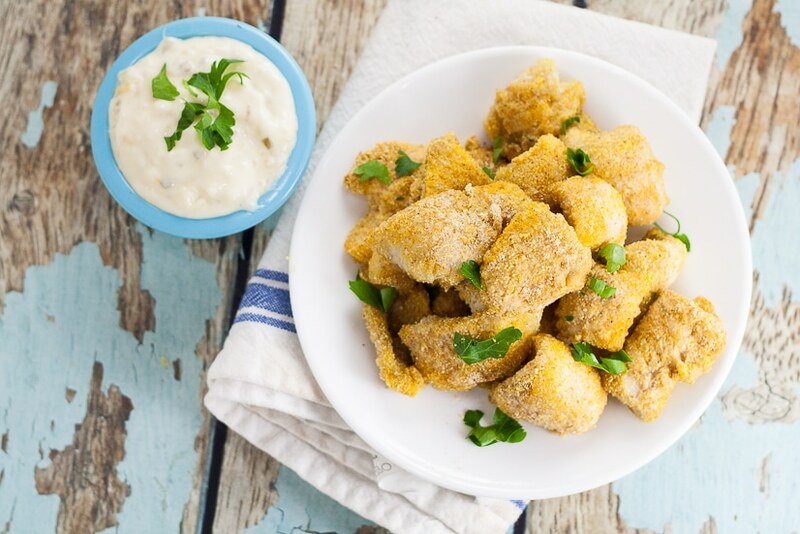 If you’re not weird like Mr. Gracious, you can try this amazing and totally easy Homemade Tartar Sauce Recipe that will go with your Baked Catfish Nuggets perfectly. Our go-to side dish for almost all fish dishes is this Creamy Southern Coleslaw. It’s creamy but simple and fresh and adds the perfect crunch to go with succulent fish. Most people think “fish and chips,” so another easy way to go is a potato any way. 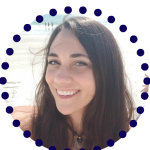 Baked potato, mashed potatoes, potato wedges,… oh my! We like these Garlic Chive Baked Fries. Corn on the cob is an easy fast way to go for a carb, if you’d rather skip the potato. To finish off the meal, we like a nice big fresh fruit salad. Step 1: In a shallow dish, mix together cornmeal, Cajun seasoning, garlic powder, and salt. Step 2: Place a catfish nugget in the bowl. Coat entirely with cornmeal mixture. Remove to a lightly greased baking sheet (line with foil for less clean up!) Repeat for remaining catfish. Step 3: Bake at 400° for 17-20 minutes, until catfish is cooked through, golden, and flaky. Can another fish be substituted? Absolutely. The easiest ones to use in place of catfish are tilapia or cod. 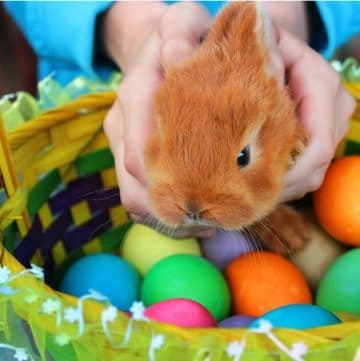 Why is there no egg in this recipe? I find that flour dredging and egg dipping in this recipe is unnecessary and just creates extra mess and extra work. The cornmeal mixture coats the fish really well without any dredging. Want to fry your catfish nuggets? 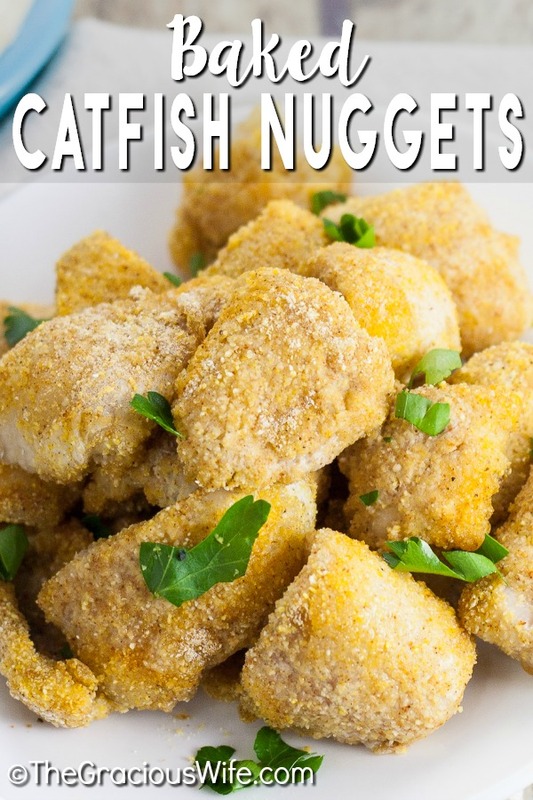 Find out here in this yummy fried catfish nuggets recipe. What goes with baked catfish nuggets? Definitely some creamy southern coleslaw and a potato or grain of your choice. Try baked french fries, rice, or quinoa! Fried Catfish Nuggets – try the fried version! Lemon Pepper Baked Catfish – fresh and zesty! Beer Battered Catfish – personal favorite! 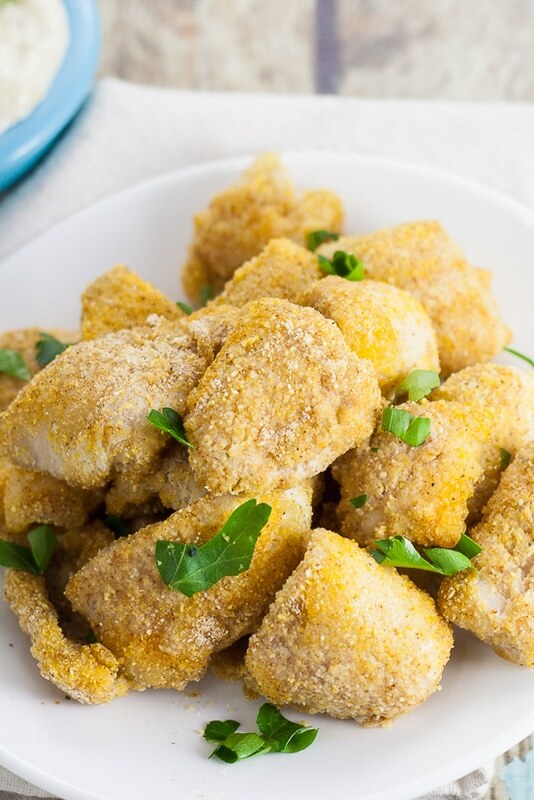 Make these Baked Catfish Nuggets as a healthy and easy baked version of a Southern favorite. Made with just 5 ingredients in 30 minutes! Serve with your favorite sauce! In a shallow dish, mix together cornmeal, Cajun seasoning, garlic powder, and salt. Place a catfish nugget in the cornmeal dish. Coat completely. Remove to a buttered and lined cookie tray. Repeat for remaining fish. Bake at 400° for 17-20 minutes, until fish is cooked through, golden, and flaky. 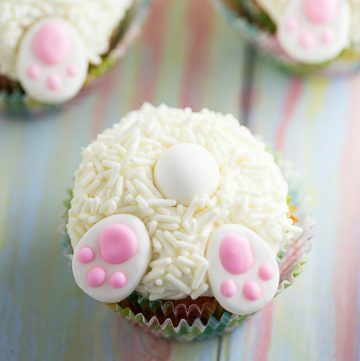 This recipe is gluten free and dairy free! No substitutions necessary! Can another fish be substituted? Absolutely, just make sure to cut it into “nugget-sized” pieces. The easiest ones to use in place of catfish are tilapia or cod. Nutrition facts are for about 4 ounces catfish. Eat this all the time! Yum! I was looking for an awesome recipe for the whole family and I stumbled on this article. I read and followed the instructions carefully and I made this baked catfish nuggets deliciously! Every member of my family is so happy! Thanks for this!